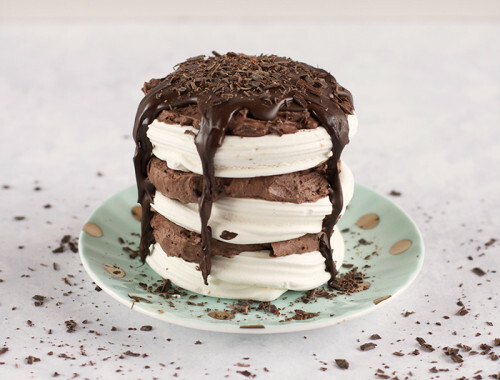 I get my baking inspiration from a huge range of sources, from a pin I see on Pinterest, to a dessert I try at a restaurant whilst abroad. This week’s inspiration was from a block of Lindt chocolate my mother gave me when I was feeling sick. “Chocolate is very therapeutic” she said (what a wise woman). 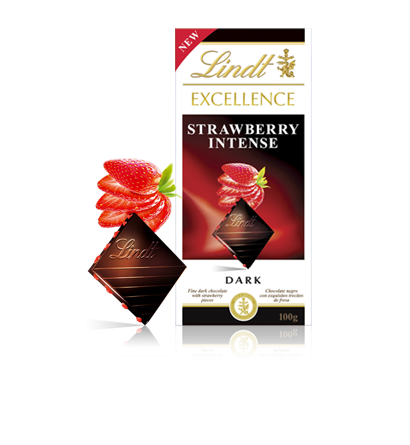 The richly dark chocolate contrasted well with the sharp and fruity slivers of freeze dried strawberry. 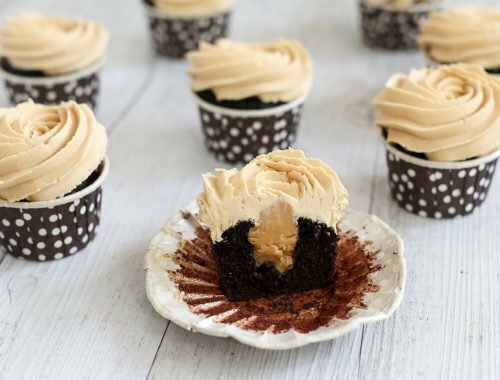 It was delicious and a flavour combo I wanted to convert into cupcake form. 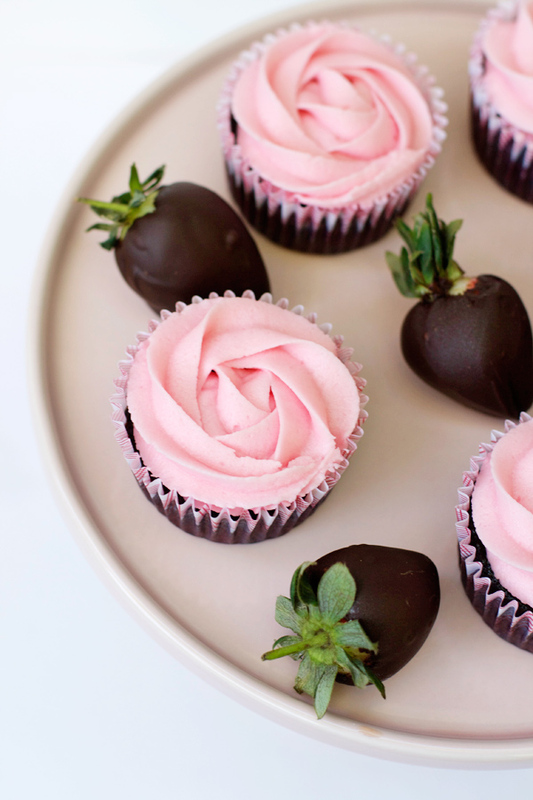 Strawberries are used 3 ways in this recipe, firstly as a fresh strawberry cupcake filling, next as a strawberry buttercream and finally as an eye catching and delicious chocolate-dipped decoration. Remove the mixture from the heat and allow to cool, if it’s still a bit chunky then squash with a potato masher. 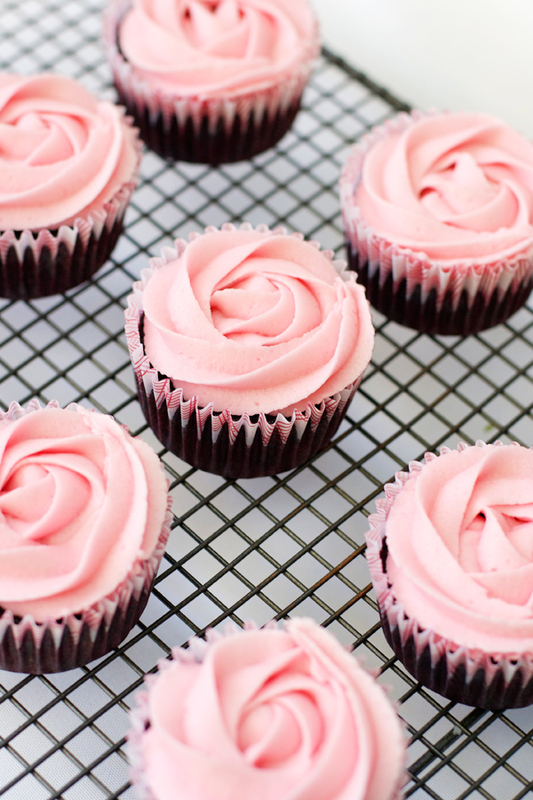 Fill cupcake liners about ⅔ full with mixture. 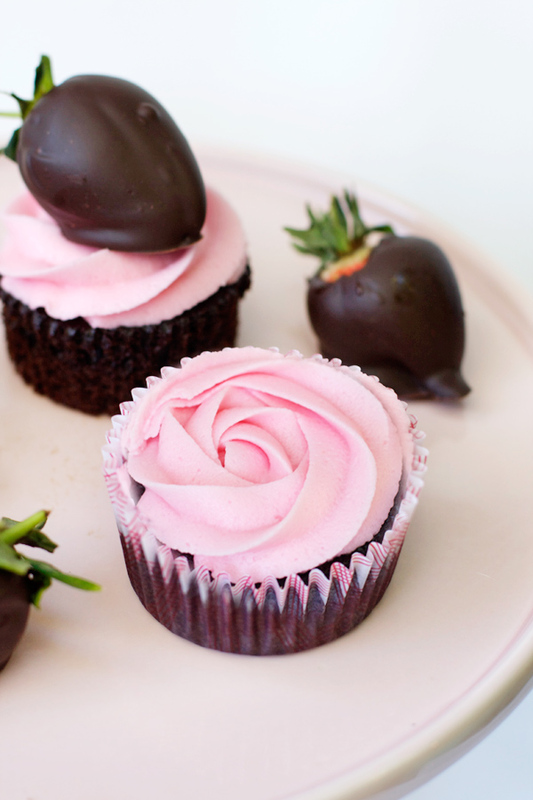 Place a teaspoon of fresh strawberry filling into the middle of each cupcake. Gradually add in 4 cups of sugar, then the milk and strawberry extract (adding gradually prevents the icing from going grainy). 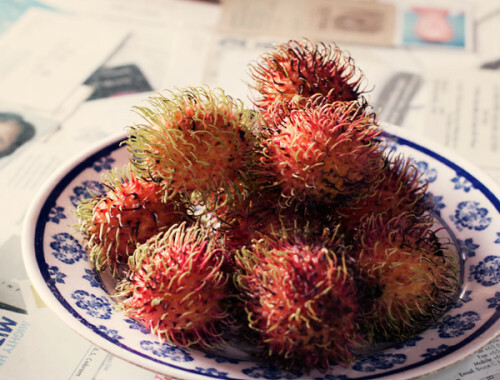 Wash and try the strawberries. Melt the chocolate in a bowl in short bursts in the microwave until smooth. 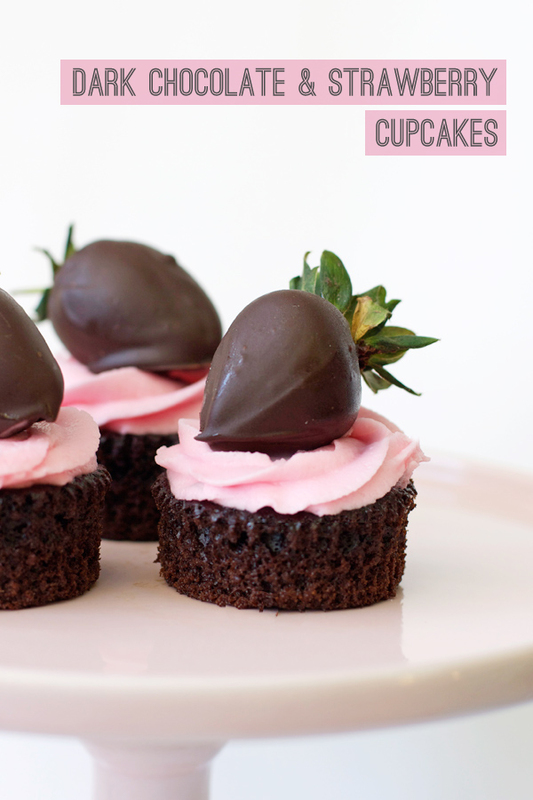 Dip each strawberry into the melted chocolate until well covered, letting excess chocolate drip off into the bowl. 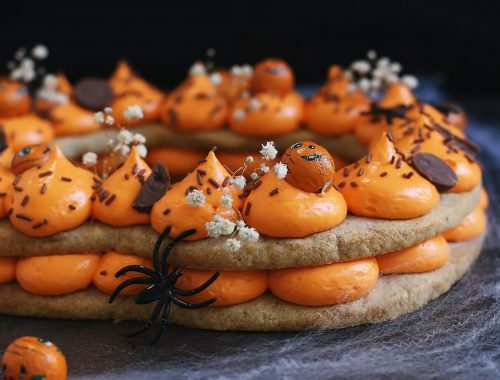 Place on a baking paper lined tray to dry. 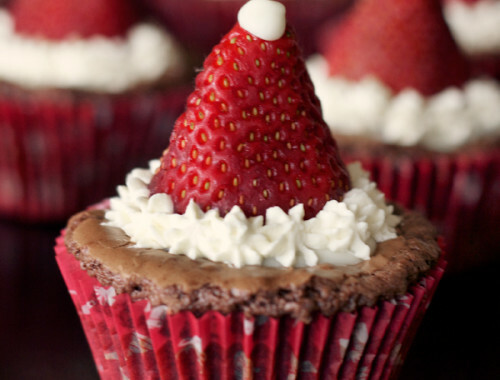 Repeat the process until all strawberries are done, then adorn each cupcake with a strawberry. 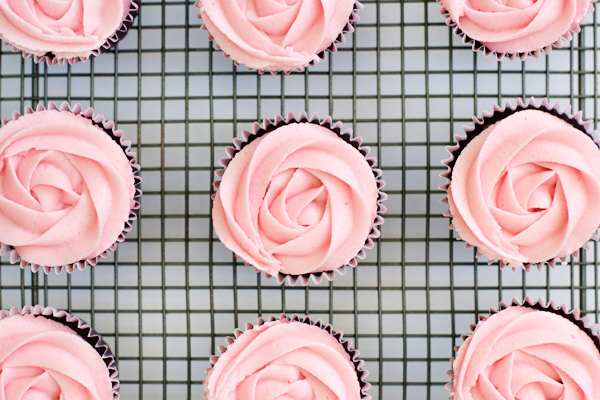 I ran out of chocolate dipped strawberries, but fortunately these cupcakes also look beautiful as little pink roses! I deliberately reduced the sugar in these cupcakes and increased the liquid ratio (from milk, coffee and oil) and it produced the most darkly rich and moist cupcake I have created to date. 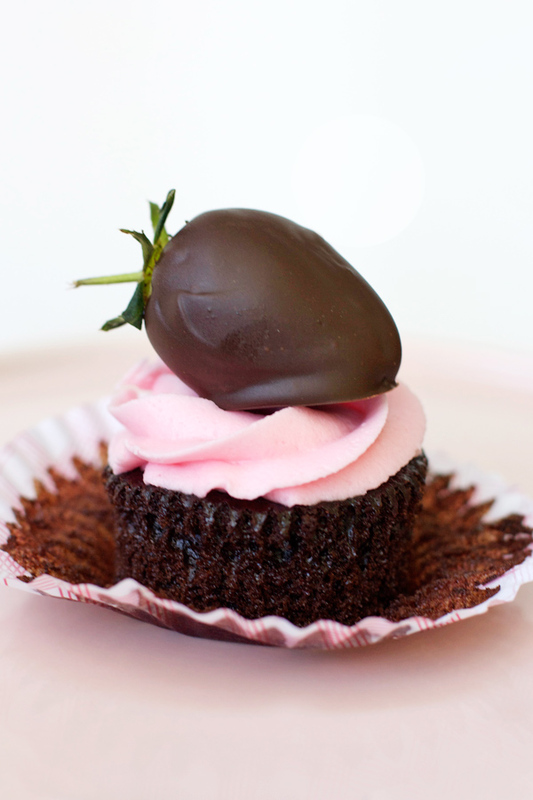 If I was to create another cupcake inspired by a chocolate bar, what would you suggest?